Have you ever felt like you are special? That you have some hidden gift or talent waiting to burst forth from you just at the right time? A unique quality so unique to you that your friends and admirers ooh and ahh when you show it off? Yeah, well at the sake of sounding completely self-involved I have to admit I have always felt that way, but most of the time I have suppressed it and written it off. After all, who am I to think I’m somebody? Then, recently, I got to thinking (an activity in which I participate more often than not, a common side effect of having been a philosophy major I suppose) – what if, deep down, everyone feels the way I do? We love stories about heroes, masters-of-their-crafts, and underdogs..what if we all just want to be seen as the impressive entities that we really are? I am blessed with many close friends, people who love me and trust me enough to talk about themselves openly, and what I have learned is that we all seem to have a secret yearning to show off our hidden talents. The wonderful thing about us (i.e. the human species) is that we are so innately creative that each of us has something truly unique to share with the world. I believe that it is time for more of us to stand up and shout, “Dammit, I am special and I have something truly magnificent to offer the world!”. As I traverse the wonderfully winding path of life I shall always keep in mind the words of one of my favorite philosophers, Socrates, when he said , “The unexamined life is not worth living.” Having spent my college years studying both philosophy and psychology, I am dedicated to learning about myself and sharing what I learn with others in the hopes that I can inspire them to discover and share their gifts, talents, hopes and dreams. We deserve a better life. Brothers and sisters, let’s create and grow together! Ya short haired sister here! ha ha ha… You thought you were special before…. NOW look at cha!!! Keep it rolling and lots of pure special love to you..
Lisa! Great to see you in this neck of the woods! I hope you will visit our site often. You are a wonderful role model for us gals and your encouragement and insights are MORE than welcome! You may have read this before, but your bio reminded me of this poem. I like your bio a lot! Funny thing life is- today I was reading Plato and Socrates and all about “the unexamined life not worth living :)” So cool that it would show up on your blog- as I said I appreciate the synchronicities a lot!!!! Have a great night!! 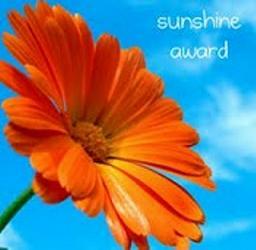 I think you write awesome stuff so I have nominated you for the sunshine and versatile blogger award. Juned, Thank you so much! What an honor! We will accept the award and spread the positivity with others. Thank you for nominating us! I hope you will keep writing as well. This online community is so wonderful, thanks to individuals like you! Cheers. Greetings, Kaycie! I was away for a couple of days, so have a lot of catching up to do. Hey Kaycie! How have you been? I’m returning from a hiatus from blogging. I look forward to seeing what you’ve been posting. I have been good! It’s nice to have you back. I hope your hiatus left you with energy and inspiration to write some more awesome stuff! Feel free to comment on my latest posts, it’s always nice to hear from you! Of course! And I look forward to commenting 🙂 How was tarot training? Btw thanks for the repost! I’m glad that you liked the article! Oh no! i still owe you a tarot reading, don’t I?! Hello, I just tried accessing your website… & my internet provider has blocked it! SO angry! I’ll see if I can find a work around & let you know. Thanks for trying and for coming to my blog! I wish you the best! Reiki sisters unite! He thinks that may help him to grow! I think an elephant can do whatever she pleases ❤ I love your blog! Thanks for checking mine out too! AnElephant thinks you are delightful. But he is not smart enough to be a she! Hi Kaycie, nice to meet you. Been travelling around your beautiful blog. I also am a fan of Eckhart. Are you familiar with Adyashanti – check him out. He’s our favourite teacher. Thanks for visiting our blog, and the likes and for following. I hope you enjoy the stories of our journey, both inner and outer. You’ve been traveling around more than my blog! I am so excited to read more about your lifestyle! I love to travel!! I have not heard of that teacher, thank you for the heads up! You seem wonderfully special! So glad to meet you! Thanks for stopping by! Thanks for your visit to my little corner of the blogworld. I thought that I’d stop by for a visit too. You most assuredly are special. 🙂 I’m glad you aren’t too afraid to share your Truth. I have a poem I wrote called Who am I to Act Small, do you ever feel like people pretend to be limited when really we are all extremely powerful!?? Thank you Derek! I have a few awards to accept I’m ashamed to admit. I have trouble accepting praise, but I sincerely appreciate it especially from a fellow healer whom I respect! ❤ Thank you my dear!